Eton has crafted fine men's shirts since 1928. The original factory and headquarters remain in Gånghester, Sweden, where their very first shirts were sewn. Eton has evolved from Swedish craftsmanship and attention to detail, today they are a global leading shirt maker and can be found in 49 markets at some of the world's most exclusive stores. Sustainability is important. For Eton, high quality equals sustainability. Eton aims to produce long-lasting garments and to minimize negative environmental and social impact while doing so. They say that “the first step to a more sustainable clothing industry is to promote durable and timeless products.” This sustainability also transfers to how you care for your shirt; the better you take care of the nice garment, the longer it lasts, hence reducing the environmental impact of the garment itself. All of Eton’s shirt fabrics are made from scratch to guarantee the high performance that characterizes their shirts. The garments are long-lasting and should inspire to care for them in the best way possible. Eton strives to constantly renew themselves. Working close with suppliers enables them to innovate fine shirting and create unique shirts and accessories. Each Eton shirt is made from 45 different parts and sewn with 12 000 stitches. To create the perfect fit for any body type Eton has designed four different body fits per neck size, from trim super slim to their generous classic fit. With Etons different styles you will have a shirt for every occasion - from timeless business to formal evening wear and weekend staples. At UWM one of our favorite things about Etons is you can wash it at home, no need for dry cleaning, wash it in cold water and hang it up to dry. Stretch the cuff, collar and front placket touch it up with an iron if you like a crisp shirt. Eton is truly an easy car shirt. Stop by UWM Men’s Shop and check out our Eton selection today. Eleventy is a “first class” Italian brand founded in 2007 by Marco Baldassari and Paolo Zuntini. Eleventy got their start offering a small collection of polo shirts, providing a youthful twists on classic refined Italian style Their immediate growth and success lead to the attraction of investors and, eventually, the spread of the company worldwide. In 2016, Eleventy expanded into the United States and placed their headquarters in New York. Stop by UWM today to see the the new spring products from Eleventy. 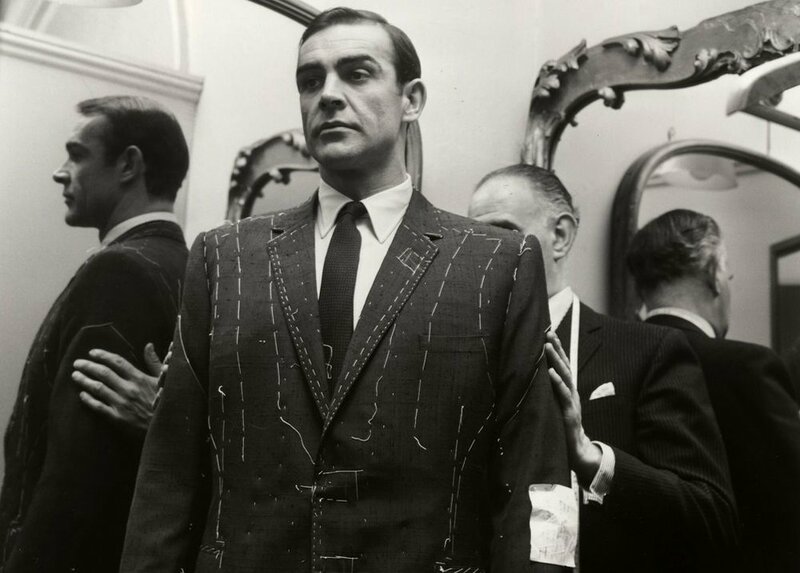 Since the dawn of clothing, tailoring has been an integral part of outfits. Tailoring really makes or breaks an outfit. 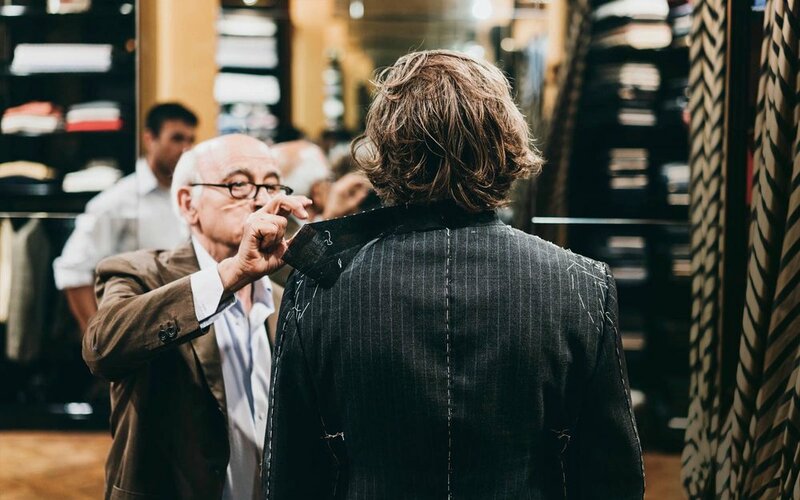 When someone is shopping off the rack, a plan should be set in place to take the suit to an existing, well rounded tailor. A shop that boasts their alteration skills may not cut it, a true tailor is someone a suit owner should have on speed dial. Tailoring is the art of designing, cutting, fitting, and finishing clothing. 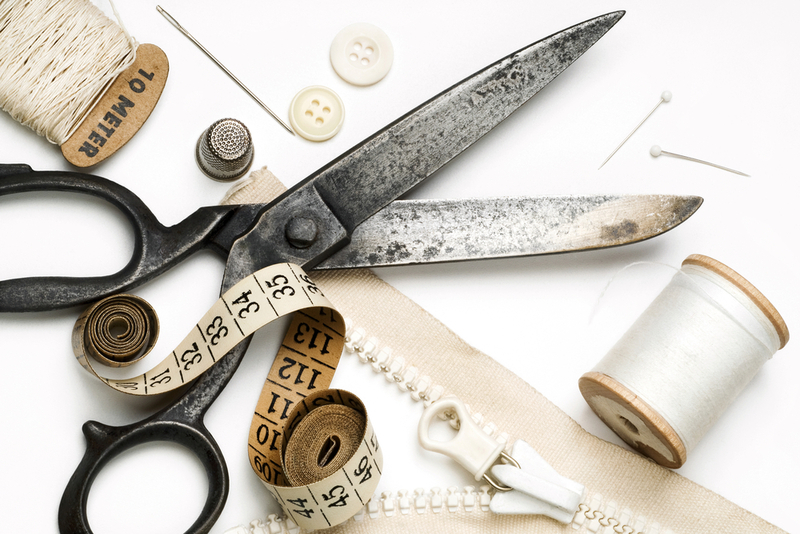 In Latin, the word for tailor is sartor, which originally meant patcher or mender. This is where the word sartorial came from, referring to the tailoring of clothing. Tailoring, as a craft, can be dated back to the early middle ages, when guilds were established to provide the higher class with fine clothing, and blacksmiths with padded linen undergarments to be worn under heavy armor to prevent chafing. Suit brands like Kiton, Isaia, and Givocci, rely on master tailors to produce their products. In the realm of retail, tailoring is essential for the finished look. There are very few bodies that work in an off the rack suit, most need to be fitted properly. A true tailor will know how to construct, deconstruct, and then reconstruct everything from jeans and t-shirts, to suits and heavy outerwear. The price of suits is factored greatly by the way they are tailored. More hand-work usually equates to higher price. Suits are able to be produced at a lower price when machines are the main form of manufacturing. The downside to mass produced, machine made suits is obviously the construction and durability. A well made suit will have a canvas lining, and be made to last years, whereas cheaper machine made suits will be fused, or glued, together. No amount of tailoring will revive a cheap suit that is puckering from the glue used to fuse the suit melting away. When you are suit shopping in the future, pay attention and ask questions regarding the tailoring process, buy the suit, and get it tailored. A well tailored suit is what makes people stand out from the crowd. When deciding which sweater to wear, one has to think about the event you are attending. Whether you are aiming for comfort, or durability, or both, will play a hand in the type of wool your suit or sport coat should be. Wool garments have been a staple in clothing since the creation of clothing. Unlike Harris Tweed and other coarse wool materials, cashmere not only trumps standard wool in fashion, but also in comfort. For a heavier, more durable outfit, a heavier wool would be your best bet. If you are dressing with comfort in mind, cashmere is the way to go. With a lighter, more breathable material, you will find your cashmere suit is the one you always turn to when needing to dress up. Cashmere comes from goats, specifically Kashmir goats, rather than your standard sheep. The fibrous strands from these goats are 6 times finer than human hair, and when woven together create a sublime material to please all your senses. Once cashmere was only found in the northernmost reaches of India, but can now be found around the world. Cashmere is finer, stronger, lighter, softer, and much more insulating than sheep wool. These attributes make the material common to be found in sweaters, socks, scarves and other such clothing items. Cashmere can also be found in high end suiting, to add to its comfort and elegance. Brands like Kiton, Brioni, and Ermenegildo Zegna use this deluxe material to create comfortable, timeless pieces. Wool is a category of textile fibers derived from the coat of mainly sheep, but also goats, muskoxen, rabbits, camels, llamas, alpacas, vicunas, guanacos, and even cattle and pigs. While wool is grown to keep an animal insulated, it is not the same as hair or fur. Wool fibers are crimped and elastic, and they have scale, which gives wool it’s unique characteristics. Wool is also an elastic fiber, meaning that it resists distortion and has the ability to return to its original form. Wool is a very labor intensive fiber to produce. The process has seven steps. Making wool begins with shearing the sheep, which is done in spring the when the animals no longer need a heavy coat for insulation. The newly shorn wool is called a fleece. Grading and sorting break up a fleece into the various qualities of fibers, which come from different parts of the sheep. The fibers from the shoulders and sides of the sheep is used for clothing. The wool is stripped of contaminants The fibers are scoured with water, soap and alkaline ingredients. Wool is given a final cleaning and straightening, the wool is separated into two types, worsted, and woolen. Wool is turned into thread by spinning it into a single strand of yarn. Multiple yarns are then spun together with other yarns (referred to as ply). The process of finishing adds desired characteristics to the wool. Wool is classified based on the diameter of the individual fibers, in units of microns. Fine wool fibers are used for clothing, the thicker fibers are used for rugs and interior textiles. In the business world, much is to be said about the outfits that define our character. Behind ever well-suited man there is a soul, and that soul is as different as night and day from those around it. In order to break that mold and fall into a world of cookie cutter suits, feel free to express yourself with subtle but wardrobe changing accessories. One of the subtlest ways to spruce up your outfit is by shoving a pocket square into your suits breast pocket. The history of the pocket square has a bright and colorful past and is oftentimes mistaken for handkerchiefs. Anciently pocket squares were doused with fragrance in order to mask the smell of body odors. King Richard II is often considered the inventor of the pocket square as a fashion accessory. In the 19th century, as two-piece suits came into fashion, pocket squares became more prevalent as an aesthetic to the outfit. It was also common to see men with two handkerchiefs, one used as a tissue, and another as a fashion garment. With the rise of tissues, the nose blowing handkerchief was relatively made obsolete. The pocket square rose into the decorative accessory we know and love today. You can fold it into a square and just have a nice flat splash of color or neutral white. You can pinch the corner and have the tips peak out in an almost flower form. Pocket-squares can and should be in the same color family as your tie but should not be the same color or pattern. Setting is also a huge factor in how subtle or bold your pocket square should be. For black tie events. Your square should be contemporary and subtle, for more relaxed parties, have fun. You are the captain of your outfit. Do not be afraid to be bold. What is it about the Italians that demand our awe when it comes to suiting? Of course there are other places where suits are produced, but that simple “Made in Italy” label on the inside of a suit is a game changer! But what is it that makes Italian suits so special? In 1952 after the first fashion show held at Palazzo Pitti in Florence there were many names believed to have had a significant role in the design of the Italian suit, as we know it today. Some remarkable mentions are Ermenegildo Zegna, Nazareno Fonticoli (founder of Brioni) and Armani. 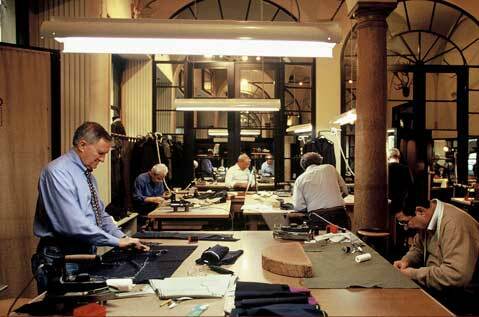 Regardless of the particular tailor or designer, there’s a common element that led to the Italian suit, Italians. Italians were not comfortable in the stiff and structured British cut. A suit that is too heavy to be worn comfortably in warmer weather. The concern was more with looking “clean.” Fits that are exacting and slim.This means no wrinkles or excess fabric. There are several details that set an Italian suit apart. The one that really sets it apart is the weight or “lightness”. The garment, in fact, looks light, feels light, and wears light. It fits tight and close to the body. The canvas lining is also very light. The jacket is considerably less structured compared to American and British suit stylings, and as a result the cloth follows the wearers natural curves. The front of the jacket shows a pronounced V-shape, tight at the waist. The sleek silhouette set by the jacket is a constant also in the pants, thus giving a smooth look from head to toes. The pants with a tapered waist, which fit tight to the hips. In the most traditional design, pants would end with a break. Nowadays, no-break type of pants is also common in Italian style. When it comes to the Italian suit the concern is more about individual style and relaxing on the idea of correctness. To stand out is the whole point! I was recently in Cinque Terre - a small cluster of cities on the Mediterranean. As we took a bus from the mountain side down to the ocean, I noticed people hammering rocks back into the side wall. I asked the bus driver what was going on. He said that every day there are crews of men who pound the rocks back into the original walls - keeping the authentic, and original wall in tact. I thought to myself “there is no way something like this would exist in the states. We would concrete that wall and call it a day!” But this is exactly the difference between the Italians and the rest of us. For them, the labor is part of the craft, and staying authentic to how things are SUPPOSED to be made takes precedence over how things COULD be made. 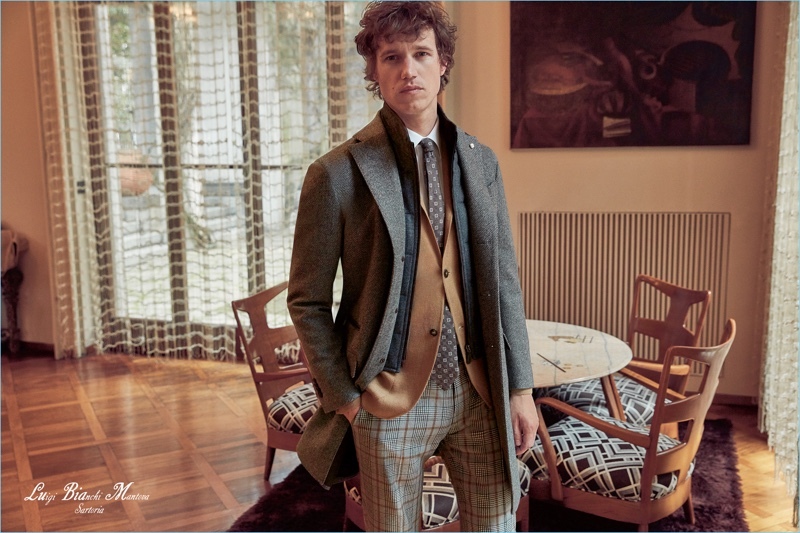 We are all about quick and dirty here, in Italy they are all about tradition and the art - and suiting is no exception. At UWM Mens Shop we are excited to have Italian suits from Givocci, Kiton, Isaia, Brioni, Ermenegildo Zegna and Canali that carry on the tradition of Italian suiting at its best! Traditionally, men’s suits were constructed with a layer of horsehair canvas underneath the wool shell. The canvas helps to hold the shape of the suit and keeps it from sagging or deforming, similar to how the foundation of a house keeps it upright. 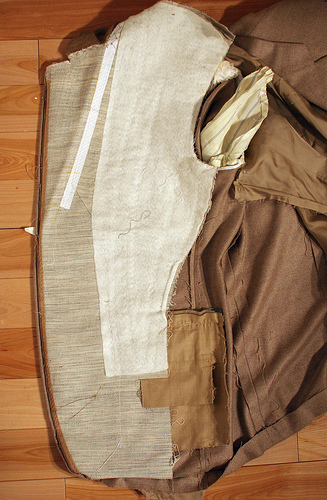 The canvas is cut to the jacket’s shape, the wool is then stitched to the canvas. 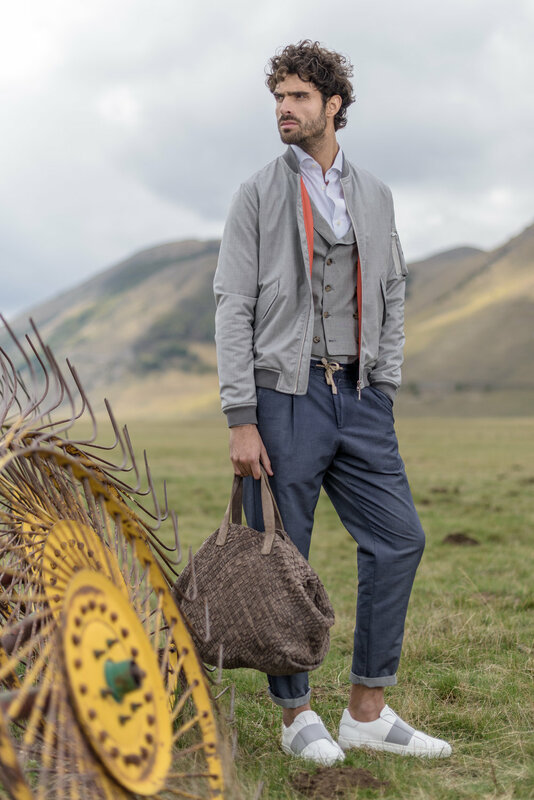 As you wear the jacket, the canvas will begin to conform to the shape of the wearers body, creating an excellent fit.The canvas lining allows the suit to drape naturally, presenting a well put-together clean look. Many suit manufacturers no longer use a canvas lining in their jackets. Instead they’re using a fused lining which is glued to the wool shell of the suit. Often this creates an unnatural stiffness in the jacket, making it appear lifeless compared to a canvassed coat, also, with a fused jacket overtime the glue will breakdown. The wool detaches from the fused backing causing it to ripple we call this “dimpling”. Once this happens there is no way to fix your jacket. Half-canvassed jackets have the canvas layer running only through the chest and lapels of the coat. The benefit to this, there will be a lower price than a fully canvassed jacket. The top half of the jacket is canvassed you won’t run into the issues you may with a fused jacket. This will extend the life of the jacket. The pinch test is a great way to determine whether a jacket is canvassed or fused. First, pinch the cloth below the bottom buttonhole from the inside and outside of the jacket. Gently pull the layers apart. If you feel a third layer, then the coat is fully canvassed. If you don’t feel a third layer the jacket is more than likely fused. 1. Canvassed jackets look better. 2. Canvassed construction tends to have better styles and cuts. 3. Canvassed jackets last longer. To learn more, please swing by our store and we can show you in person how canvas constructed suits will change the way you look at your wardrobe! Layers can either make or break an outfit. You put on your favorite suit, and add the layers on until your winter coat makes you feel like Randy from A Christmas Story. The hybrid jacket, beyond unique, is a sporty winter coat and we have ours that range our fabrics and and variations in them with Loro Piana fabrics. Making it a nice soft wool and we even have some with the cashmere touch to them as well. The hybrid concept has leaked into ¾ jackets. Full length trench coats are not only bulky, but constrictive, these jackets reach almost to your knee level, adding class and elegance to your winter wardrobe. A nice night in the city dining out with coworkers or friends. Hybrid jackets are a must, as they have a detachable bib that will zip right out. In the cold and if you pick up the storm system jacket they are wind proof, no more need for a scarf wrapped around your neck. Once you are in the restaurant or a meeting unzip out the bib and you have an eloquent sport coat. Big coats can be a hassle. You no longer have to hang them at the door, simply wear them to the table. The most beautiful things are the classiest. These hybrids are the pieces that will keep you stylish whether you love in Florida and need a sport coat, but fly to New york and need that extra windscreen. It really is the beauty behind the madness of modern day fashion, and the hottest winter item in our one hundred thirteen year business. Here at UWM Men’s Shop we are thrilled to announce that we have expanded our jean inventory by adding PAIGE jeans to our selection. At PAIGE, they believe “that every choice they've ever made-the big ones, the small ones, the right or the wrong-has led them to this moment”. They say, “We believe that the best story you can make and share is the one of your own life, and we are passionate about designing pieces that reflect and celebrate it.” PAIGE is passionate about creating clothing that reflects and celebrates a life lived to the fullest. Paige first launched in February 2005 in high-end retailers including Intermix, Ron Herman, Bergdorf Goodman and Harvey Nichols. PAIGE designs became an instant obsession of consumers, celebrities, and prominent fashion editors. PAIGE only partners with the best wash-houses in the country, which happen to be in their hometown of Los Angeles. Every style created is wear-tested, and tested again. PAIGE is completely obsessed with designing pieces you'll live in-jeans that go from morning to moonlight; the perfect pair that works like a charm, always; pieces to help you stand tall in what you're wearing, and take you exactly where you want to go. Our team here at UWM Mens Shop are excited about PAIGE jeans. PAIGE jeans are ridiculously soft and incredibly comfortable not to mention that they have great stretch as well. They almost feel like you are wearing jogging trousers, and not designer denim, the difference being that they fit great. Another bonus is how well they hold their shape, even after multiple wears for extended hours. The denim is comprised of multiple parts, 54% Rayon, 23% Cotton, 22% Polyester and finally 1% Spandex. Come try on PAIGE jeans and do yourself a favor by adding a pair to your wardrobe today, at $199 you definitely won’t regret it!! We also offer complimentary tailoring as well, giving you the perfect fit and length! The sleek silhouette set by the jacket is a constant also in the pants, thus giving a smooth look from head to toes. The pants with a tapered waist, which fit tight to the hips. In the most traditional design, pants would end with a break. Nowadays, no-break type of pants is also common in Italian style. When it comes to the Italian suit the concern is more about individual style and relaxing on the idea of correctness. To stand out is the whole point! 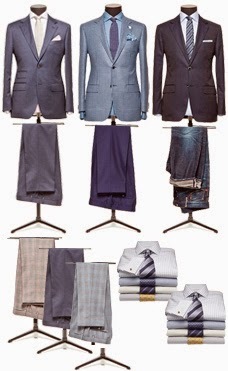 At UWM Mens Shop we are excited to have Italian suits from Givocci, Kiton, Isaia, Brioni, Ermenegildo Zegna and Canali.